Friday’s Fresh Five! (8/29/14) | What about this? Praying it all goes well. Thank you so much. Your prayers were appreciated. 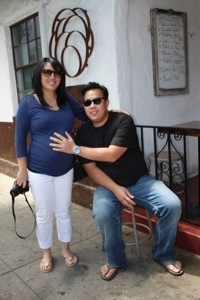 Ellise – It wasn’t planned that I be in the birthing room with Kevin and Natalie. With Kevin behind her applying back pressure, she needed help focusing on her breathing. She asked me to stay and I was glad that I remembered my Lamaze breathing techniques and that I could be of help.